VICE PRESIDENT - Andrus Ansip was born on the 1st of October 1956. He is an Estonian politician, the current European Commissioner for Digital Single Market and Vice President of the European Commission, in office since 2014. Previously, he was Prime Minister of Estonia from 2005 to 2014 and chairman of the liberal Estonian Reform Party (Estonian: Reformierakond) from 2004 to 2014. Before his entry into politics Ansip trained as a chemist, before working in banking and business. He entered Parliament in 2004, quickly becoming Minister of Economic Affairs, and subsequently Prime Minister in April 2005. On 1 November 2014, he was appointed to the European Commission. In the 2014 European elections, Andrus Ansip was elected as an MEP receiving the largest number of preferential votes in Estonia. Shortly after, Prime Minister Taavi Roivas nominated him as the country’s next European Commissioner. 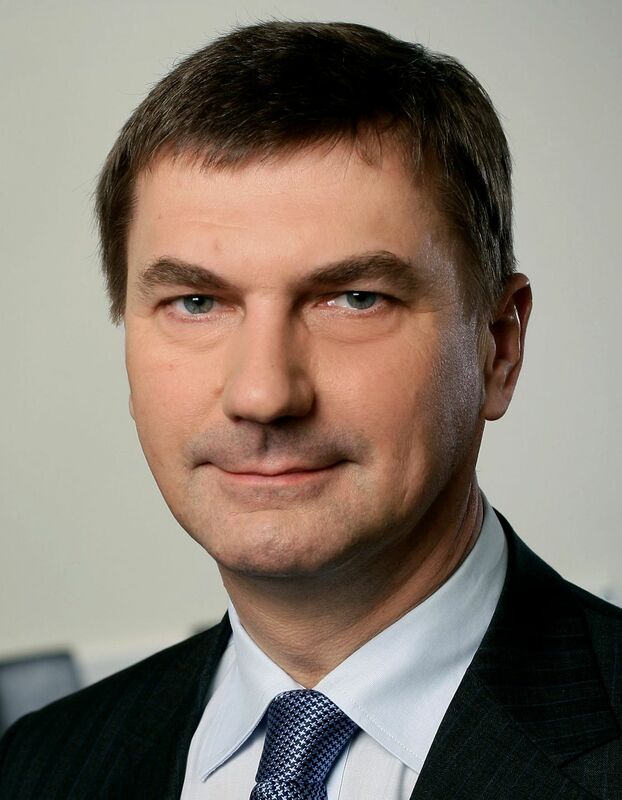 On 10 September 2014 President-Elect Juncker of the European Commission announced that he proposed Andrus Ansip as Vice-President of the European Commission and the European Commissioner for the Digital Single Market. He was formally appointed by the European Council as Vice President with the consent of the European Parliament. The EU’s digital chief has warned Facebook and other social media companies they must take a stronger stance against fake news or face action from Brussels. 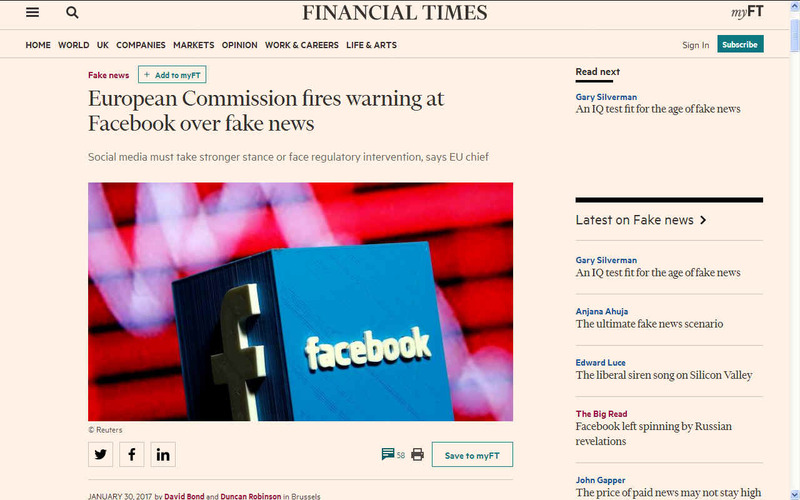 Andrus Ansip, the European commissioner who leads the portfolio, told the Financial Times that recent events could be a “turning point” for online platforms that risked losing trust unless they took greater responsibility. Mr Ansip’s warning comes as Facebook is under growing pressure to act after fake news stories went viral during last year’s US presidential elections, including one that claimed the Pope had endorsed Donald Trump. The world’s largest social network is testing several ways to try to limit the rapid proliferation of fake news stories, including a new system that will filter suspicious content flagged by users with the help of fact-checking organisations. Facebook also this month announced a journalism project, which will work with news publishers and support a campaign to teach users how to distinguish between hoaxes and real stories. A European Commission spokesperson said the commission would be “following closely” steps taken by social media companies and plans to issue “guidance on the different types of voluntary measures adopted by online platforms” later this year. A Facebook spokesperson said it took its responsibility to tackle fake news “extremely seriously”. Google and Twitter declined to comment. Mr Ansip did not offer details of the measures Brussels could take if the European Commission was not satisfied, but he pointed to a code of conduct signed last May with tech companies including Facebook, Twitter and Google to combat illegal online hate speech as an example. In a sign of the growing political pressure on social media platforms, the UK House of Commons culture, media and sport committee announced on Monday it will hold a parliamentary inquiry into fake news. The German government, meanwhile, is discussing legislation that could impose fines of up to €500,000 on Facebook and other online platforms for distributing fake news amid mounting concern about the influence that internet hoaxes could have on this year’s elections. Facebook responded two weeks ago by announcing it would introduce its fake news filtering tools in Germany in the coming weeks. In spite of his threats to step in, Mr Ansip, a former prime minister of Estonia, insisted it was not the job of the European Commission or governments to censor online content. “Fake news is bad but the ministry of truth is even worse,” he said. Mark Lewis, a media lawyer with Seddons, questioned whether self-regulation would ultimately work for global social media platforms which are subject to different legal systems around the world.